As a therapist, I often interact with individuals whose functioning is significantly impaired by symptoms of depression, anxiety, bipolar disorder, or other disorders that can be heavily influenced (at least in part) by biochemical imbalances. Accordingly, it is not uncommon to discuss the possibility of medication when co-creating a treatment plan with clients. Many people presenting to my therapy office for help are in one of two camps as relates to medication. And they make their views known without me ever bringing up the topic of medication. Those in the first camp are eager (and sometimes overeager) to receive medications, confident in its ability to relieve their symptoms. They see medication as a magic pill and they present to a primary care physician or psychiatrist so that they can have access to it and supposedly be done with it. Those in the second camp are resistant to the idea of medication. They see it as a source of new and potentially worse symptoms. They fear it will separate them from themselves. Or they may fear that it will validate their diagnosis and confirm that there is a problem that they are still not willing to confront. For any of a number of possible reasons, they don’t want to have to take a pill. I wish to spend the next two blog posts inviting those in each camp to consider a few things. To those who are overeager to use medication, and perhaps desire that medication be their only treatment, I wish to offer some warnings and invitations. For those who are resistant to using medication, I wish to provide some context to consider so that the decision they make about treatment is an informed one. I believe that medications can be a helpful and important element of healing, but that it generally isn’t a standalone cure. I believe that many can and do misuse and abuse prescribed medications in a way that is detrimental to physical and emotional health. 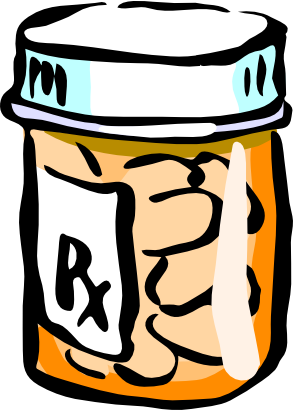 I believe that for some, medication can help manage symptoms, allowing them space to heal. I believe that some people use medication in a way that disrupts or delays healing. I believe that for some, medication is essential in allowing individuals access to themselves and to healthy functioning. So, let’s talk about meds! I will post Med Talk, Part One: In Defense of Meds this Thursday, and Med Talk, Part Two: A Word of Caution about Meds next Tuesday. Feel free to join the discussion by posting questions, sharing experiences, or providing insights. Thanks!